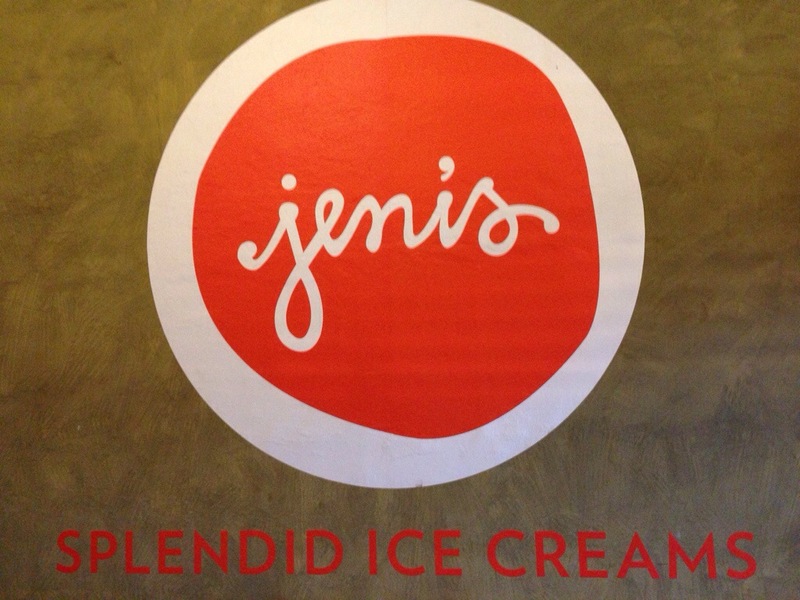 About two weeks back, I noticed Jeni’s Splendid Ice Creams had appeared on the Eater.com “What’s Hot in Atlanta” list. Then Thursday night, one of my buddies mentioned that they were going to “go to there” this weekend. When we ended up in the Westside Provision District, as part of my ongoing quest for a purple gingham dress shirt, right there next to the store, I figured we ought to give it a try. 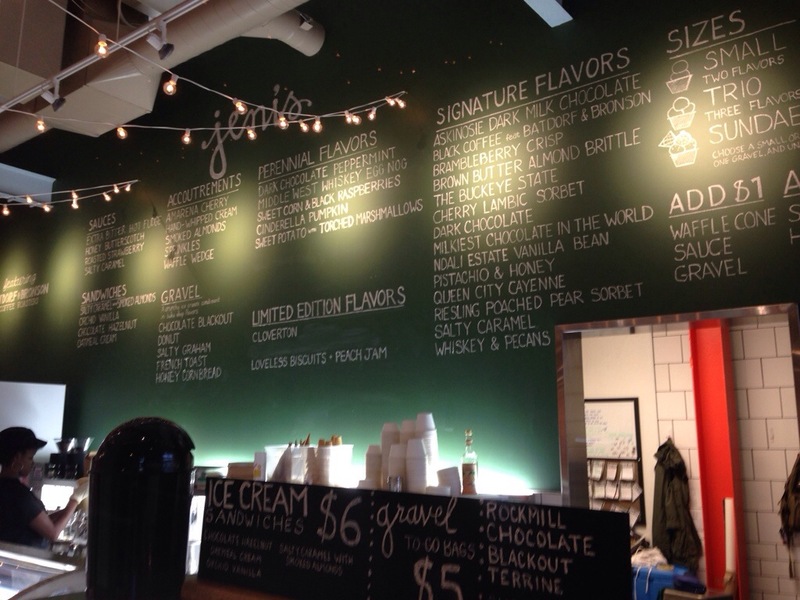 Walking in, you are confronted by the giant chalkboard that covers the back wall and holds the menu (six perennial flavors, fourteen signature flavors and two limited editions) with two freezer cases in front. 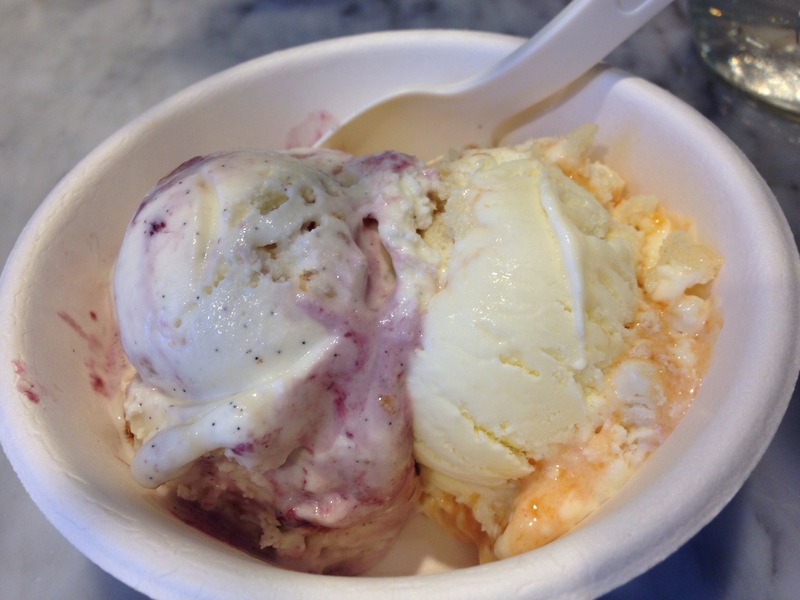 Jeni’s started in Columbus, Ohio and has a policy I can heartily endorse : endless samples. 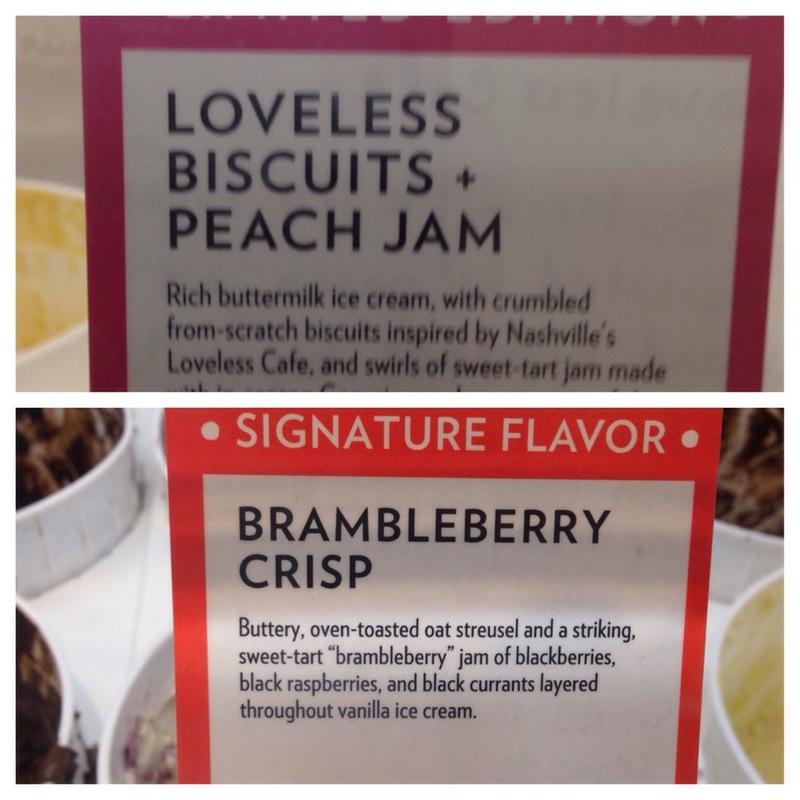 I tried several and decided on a combination of these two specialty flavors: What can’t be seen on the description of the loveless biscuits placard is that the peach jam is made from fresh Georgia peaches from the Peach Truck. As to taste , the peach was a little salty from the biscuits and the brambleberry was quite tart, so the duo (as suggested by the lovely young lady that served us) was an excellent combination. The ice cream itself was very thick and creamy. Not an every day treat, but a nice change.